Specs for two new Nokia-branded handsets have leaked, ahead of HMD's event at MWC 2017 in Barcelona. 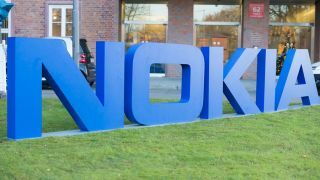 The firm, which bought the rights to use the Nokia brand, is tipped to launch four new handsets bearing the iconic name, and we now know more about two of those phones - the Nokia 5 and Nokia 3. The Nokia 5 specs, passed to NokiaPowerUser, reveal a 5.2-inch 720p HD display, Snapdragon 430 chipset, 2GB of RAM, 13MP rear camera, 8MP front snapper, 16GB internal storage and a microSD slot. The Nokia 5 price has also been revealed as €199, which translates to around $210, £170, AU$270. The lower tier Nokia 3 appears to be the firm’s entry-level device, with leaked specs pointing towards either a 5.2- or 5.3-inch 720p HD display, Snapdragon 425 SoC, 2GB of RAM, 13MP rear camera and 5MP front facing option. It will also reportedly come with 16GB of storage and a microSD slot. As for the Nokia 3 price, we're apparently looking at €149, so around $160, £130, AU$200.